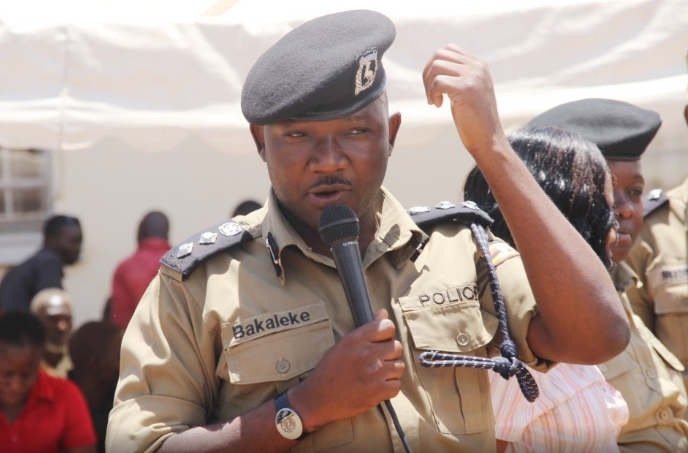 KAMPALA – The former Kampala South Regional Police Commander, Siraje Bakaleke is to face trial before the Anti-Corruption court where he is facing charges of abuse of office, embezzlement, kidnap, and obtaining money by false pretence. This was after High court judge, Musa Ssekaana declining to issue a temporary injunction stopping the attorney general or any of her agents from prosecuting Mr Bakaleke until the main application is heard and determined on merit in which he seeks to stop his persecution at the Anti-Corruption Court. “Bakaleke has not availed any evidence to support his case for a temporary injunction but only stated in his affidavit that there was no evidence to support the sanction on the charges against him,” Ssekaana ruled. He also noted that the court should always be willing to extend its hand to protect a citizen who is being wronged or is being deprived of property without any authority of law or without following proceedings cannot be used to protect or perpetuate a wrong committed by a person who approaches the court. The judge also declined to block the attorney general from attending proceeding in a case in which Bakaleke is seeking to block the same case. Bakaleke through his lawyer Ms Sarah Nakachwa , had also filed an application seeking court to proceed in the absence of the Attorney General who is the respondent saying that they had failed to because he had not filed submissions to show that he was interested in the main case which he also seeks to block the charges against him of kidnap and extortion of Shs1.4b from three Korean nationals. Bakaleke thought that the delay by the Attorney General to respond would affect his reputation in the case before Anti-Corruption Court where is charged with eight others for fraud, conspiracy to commit a felony, kidnap, abuse of office and obtaining money by false pretence. The other suspects are Paul Wanyoto Mugoya, Nabeta Samuel Mulowooza, the Managing Director Eye Power Engineering Company and Police Officers Robert Munezero, Innocent Nuwagaba, Robert Ray Asiimwe, Junior Amanya, Babu Gastavas and Kenneth Zirintuusa. Justice Musa Sekaana dismissed Bakaleke’s application with costs saying, that a representative from the Attorney General filed an affidavit in reply an indication that they were already interested to take on the main application. “It is clear from the affidavit in reply that the attorney general is interested in taking part in the proceedings of this matter and it would be unfair to shut him out of the proceedings and above all it is in the interest of justice that they make a response to the serious allegations made against the Director of Public Prosecutions in this case,” Justice Ssekaana ruled.